Star night light projector, spark your kid’s imagination! Wondering to bring a piece of starry star moon sky home? 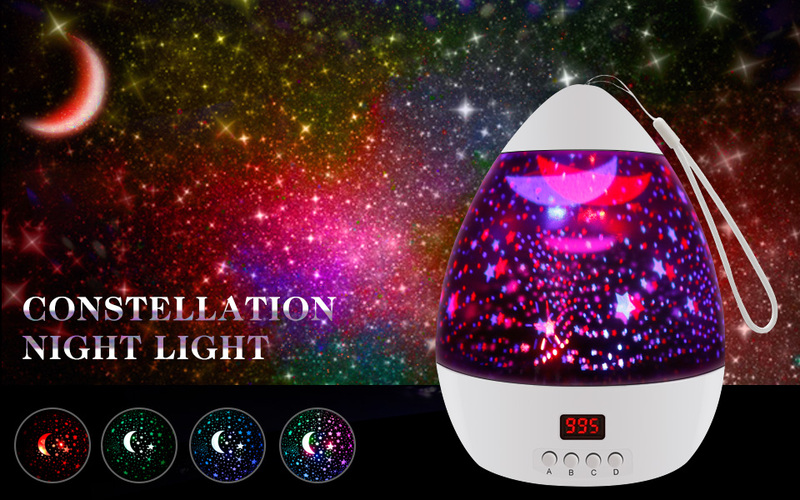 This star night light is your best choice. Ideal for decorating wedding,birthday and parties, creating a romantic and special atmosphere. Constructed with outer cover can operate as a night light or a projector. Powered by 4 AAA batteries(Batteries are not included) or USB cable. 4 LED bulbs, 4 lighting mode, much brighter and choose the one you like. You can use it as a camping light with hanging strap, save your space. This remarkable lighting produces a mystical light effect that looks like the night sky and provides a relaxing, soothing atmosphere. Button B: Different color changing,8 kind of colors for your choice. Button D: Set the time from 5-995min.5 minutes per press. Long press for 3 seconds can speed up the time. Warm Tips: Must set time greater than 0 then lighting buttons and rotation button will be set to be effective. On/off and restart the time are the same button. In order for the item to achieve long-term timing without interruption and good results, we recommend that you use the USB cable instead of the AAA batteries. Pls don't use quick charger plug to connect the night light if you don't want the led light burnt out. 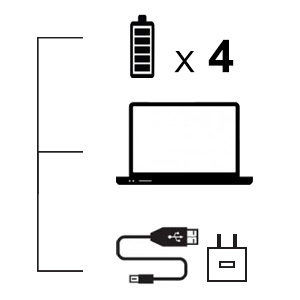 Please note we do Not Recommend the 4 x AAA batteries to use together with USB power at the same time.Thank you. Don’t worry if you leave it on, as it will switch off automatically. 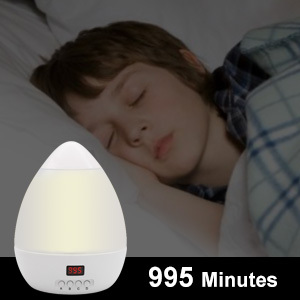 Added features of timer makes star night light more practical. Each press increases five minutes. Watching the stars and the moon to sleep, it will be closed according to the time you set. You can falling asleep nothing to worry about. Enjoy a lamp that’s built with a clear goal in mind: extra usability to make your life easier. 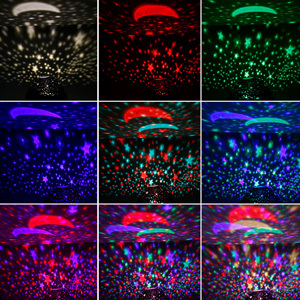 Works well for indoor party light, festival light or outdoor camping light, tent light,etc. Makes a great decoration for your rooms and halls by creating a wonderful scene. The night light star projector has eight modes of operation that include blue, red, green and flashing mode. It displays an amazing display of moon and stars on the ceiling of the bedroom. It has an optional setting for rotation or no rotation. Another unique feature of this star projector is that it includes both a battery and power option so that you can plug it in or if you are on the go you can use the battery feature. It is easy to use, just connect the cable and press the button, comes equipped with USB cable and is powered with 4.5V DC power adapter that is not include or three AAA batteries. 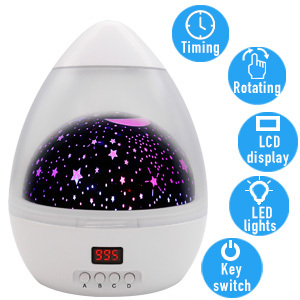 Getting your child to sleep while traveling is always a challenge and bringing this portable star projector with you makes those nights much calmer!